Being prepared can make all the difference when an emergency happens. 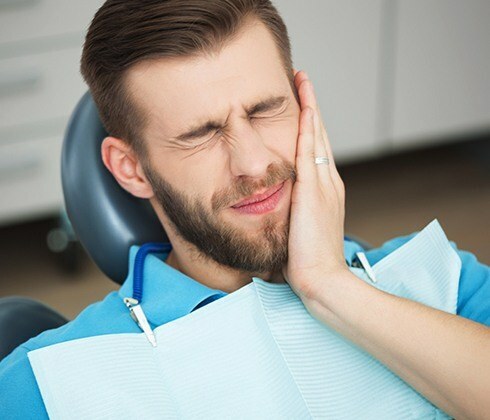 Do you have a plan in place in case you or a loved one suddenly experience a lot of dental pain? 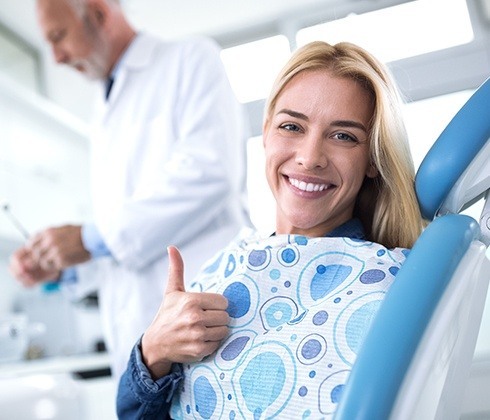 Instead of heading to the ER and spending hours in the waiting room, you can get the high-quality care you need right away just by calling Long Family Dental. We always make emergency patients our top priority, and we do everything we can to help someone get out of pain as quickly as possible, including scheduling same-day appointments. Why Choose Long Family Dental for Emergency Dentistry? In pain? Same-day appointments available! Start by taking an OTC medication to lessen any pain. If it persists, a cold compress held against the face on the same side of the tooth can provide some temporary relief as well. 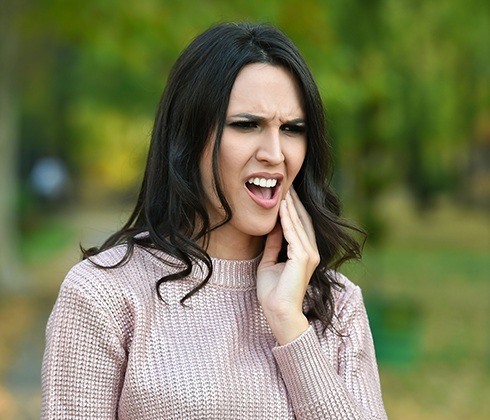 In most cases, severe toothaches can be quickly taken care of with root canal therapy. Gently rinse the mouth with warm water to wash it, and try to find as many pieces of the tooth that you can. Put them in a safe container and bring them to our office. In the meantime, if the remaining tooth is irritating the inside of the mouth, cover it with either some sugarless gum or dental wax. You need to move fast in this situation as we can only reattach a tooth within an hour or so of it being knocked out. Find the tooth, rinse off any debris, and try to place it back into its socket. If it won’t stay, keep it either in the cheek or a container with some milk. Find the restoration and give it a quick rinse before trying to place it back onto your tooth. If it won’t stay, use a little toothpaste as an adhesive. Avoid using the tooth until you can see us, and if there is any sensitivity, take an OTC medication. Like playing sports? Great! Just make sure you keep your teeth protected by wearing a mouthguard every time. While chewing on ice or popcorn kernels might feel nice, it can wreak havoc on your teeth, causing them to crack and fracture. If you need something to chew on, sugarless gum is always the better choice! Instead of potentially damaging your teeth by using them to open a package, go grab the scissors instead. Your smile will thank you! There are many different types and severities of dental emergencies, which is why there is not a set price for urgent dental care. Our treatment recommendations will be based solely on what will get a patient out of pain the fastest. Once that is taken care of, we can then try to repair any damage to the teeth. For patients worried about paying for an unexpected expense, our practice is happy to make things easier by accepting insurance and offering financing options.